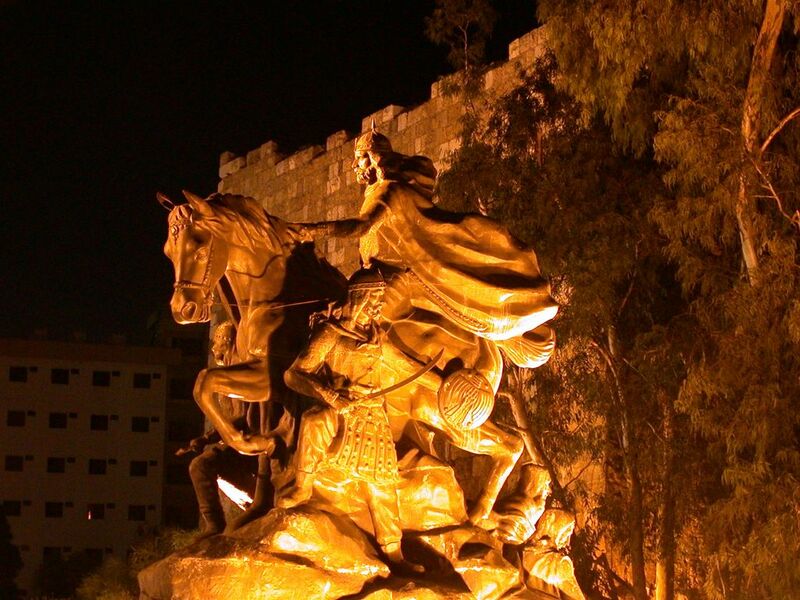 Saladin, the legendary Muslim hero who defeated the Crusaders and liberated Jerusalem in the mid-12th century, is buried in Damascus, few meters away from the Great Omayyad Mosque. It is said that when the French army under General Henri Gouraud occupied Damascus in July 1920, Gouraud walked up to Saladin's tomb and exclaimed, "Awake, Saladin! We have returned!" To this day, Arabs are still waiting for Saladin to live up to the challenge. General Henri Gouraud is an interesting character and embodiment of French imperialism at its best with dividing and conquering Muslim Arab territories, especially Bilad as-Sham (Greater Syria comprsing modern day Syria, Lebanon, Jordan and Palestine). After all it was General Gouraud as governor of Syria under the guise of a League of Nations mandate who on 1st September 1920 decided to formally establish Lebanon as a separate entity distinct from Syria. The 'Allies' instead of granting Arab countries independence after WW1 decided to continue occupying them as League of Nations mandates and partitioning territory as they saw fit and creating new entities like Jordan (to serve as a buffer zone between a future Israel and Iraq/Syria) and Lebanon (as a pro-Western outpost in an Arab Middle East). Monumental figures like Sayyiduna Khalid bin Waleed(may Allah be pleased with him) Salahuddin Ayyubi, Tariq ibn Ziyad, Muhammad Fatih, Suleyman Qanooni etc. of course hold a very important role in history. However we should not forget what Jalaluddin Rumi (may Allah's mercy be upon him) the scholar, awliya, poet, thinker and philosopher has reminded us that we should not just rest on past figures and glories, instead we must concentrate on the future and try to emulate these figures as best as possible and try to be like them in the here and now. It is only this way that we will be able to answer the call of General Gouraud who taunted Salahuddin Ayyubi at his grave by asking him to awake! I did not know this. It is so interesting/thought provoking/sad/inspiring. Inshallah a day will come when we do wake up! Long live the concept of Bilad assham! One day Syria, Jordan, Palestine and Lebanon will be one country free from american and european imperialism!